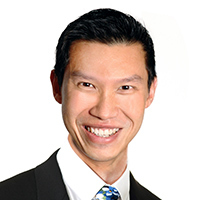 Professor David Tan is Vice Dean (Academic Affairs) at Faculty of Law, National University of Singapore (NUS Law) and is the first holder of the Dean’s Chair there. He is concurrently Director (Intellectual Property) at the EW Barker Centre for Law & Business, and Director (Communications) at NUS Law. He holds PhD, LLB (First Class Hons) and BCom degrees from the University of Melbourne and an LLM from Harvard. David pioneered the courses Entertainment Law and Freedom of Speech at NUS Law. He has also taught as a visitor at University of Tokyo and University of Hong Kong. He taught Constitutional Law at Melbourne Law School in 2007 and has been regularly offering IP & Popular Culture as an intensive since 2014. His areas of research cover personality rights, copyright, trademarks, freedom of expression and tort law. His law publications have appeared in a wide range of journals that include Yale Journal of International Law, Harvard Journal of Sports & Entertainment Law, Virginia Sports & Entertainment Law Journal, WIPO Journal, Sydney Law Review and Law Quarterly Review. His book on celebrity image rights titled “The Commercial Appropriation of Fame” was published by Cambridge University Press in 2017. In addition, David is an accomplished fine art and fashion photographer whose works have appeared in Vanity Fair, Harper’s Bazaar, Elle and Marie Claire. He has had a number of solo exhibitions, with the most iconic ones being “Tainted Perfection” presented by Cartier and “Visions of Beauty” in collaboration with Versace.